First, some music to get you in the mood to do some Cherokee Wannabe Genealogy! Whew! Got so busy shaking my hind-end that I almost forgot what I was writing about today. As I wipe the sweat from my brow, I'll tell you how to do wannabe genealogy! Step 1 - Grab a real name from your real family tree. ---For our example, we will use a white family tree and we will use the name John Keith. ---White John Keith was the son of Cornelius Keith and Mary LaFoone. Step 3 - Find a Cherokee who has the same name as your said ancestor. ---For our example, we will use a Cherokee John Keath/Keith. Step 4 -Learn a little about the real Cherokee. Step 5 - Mix and match the information for both people. Hmmm......let's see, we will say this, "James Starr was the son of Caleb Starr and Betsy Keith. Betsy was the daughter of John Keith and Polly A-S-DU-I-S-DI. This John was the son of Cornelius Keith and Mary LaFoone." Step 6 - Now build a good story around it connecting the person from your family tree to your ancestor. ---"James Starr said his mother was a full blood, so that means both her parents were full bloods. Since John was her father, that means he was a full blood, therefore, his parents were full bloods. This John Keith was the nephew of my ancestor, Samuel or Lemuel or whatever the heck we are calling him today, so since John was a full blood Cherokee, that means my ancestor was at least part Indian!" Step 7 - Step back and revel in your success at making yourself a Cherokee. Step 8 - Have your story debunked. It doesn't take much to debunk this one. John Keith, the son of Cornelius Keith and Mary LaFoone, was the husband of a woman named Jane or Mary Jane Mackey. Their family is pretty well documented and he had no daughter named Betsy. 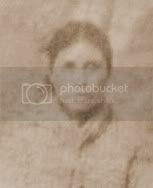 He is found living with his daughter, Mary E. Keith, and her husband Noble Glenn, in Eastern Division, Pickens, South Carolina in 1850. He died in South Carolina in 1853 and is buried the Oolenoy Baptist Church Cemetery in Pumpkintown, Pickens County, South Carolina. The family is repeatedly found in United States records and always listed as white. So what we actually have is a white John Keith who lived and died in South Carolina and a Cherokee John Keith who lived in the old Cherokee Nation and then removed to Indian Territory on the Trail of Tears in 1838. They clearly were not the same man. Excellent detective work! And it is so obvious to those who actually know Cherokee genealogy and history. It's too bad this person embrace their own ancestor. No, it's SOOOO MUCH BETTER that they turn him into an ancestor they'd be prouder of, someone they can hawk off of to get recognition for something they are NOT. Hilarious! I no longer post any of my Cherokee info on-line. 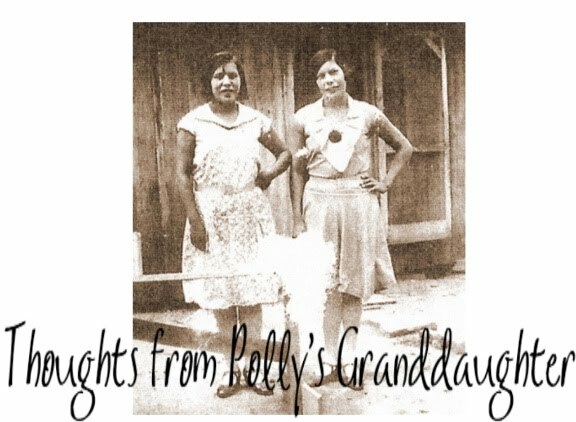 Had some wannabee latch onto something I posted years ago, invented a sister to go with my ggg-grandfather, and kept hounding me to recognize him as my relative. My family is very well-documented and he wanted to join. Lesson learned. I won't post the genealogy info because I refuse to feed other people's delusions. Keep up the good work, Twila! Thanks for reading! I write for us, so if you ever have any suggestions or experiences you want to share, inbox me.